You think I’m kidding? I’m not. I swore at the beginning of this blog that I would only put my very best and favorite recipes on the blog- and this one is absolutely freaking awesome. If I do say so myself. And easy too! You will never, ever, buy the ready-to-make box of pseudo-lemon bars again. This one is the be all and end all. When I was about nine I made lemon bars out of a little green peanuts cookbook, and from then on I was hooked. My recipe has been tweaked and twisted a little here and there over the years to produce the most perfect lemon bar I can imagine! 1. 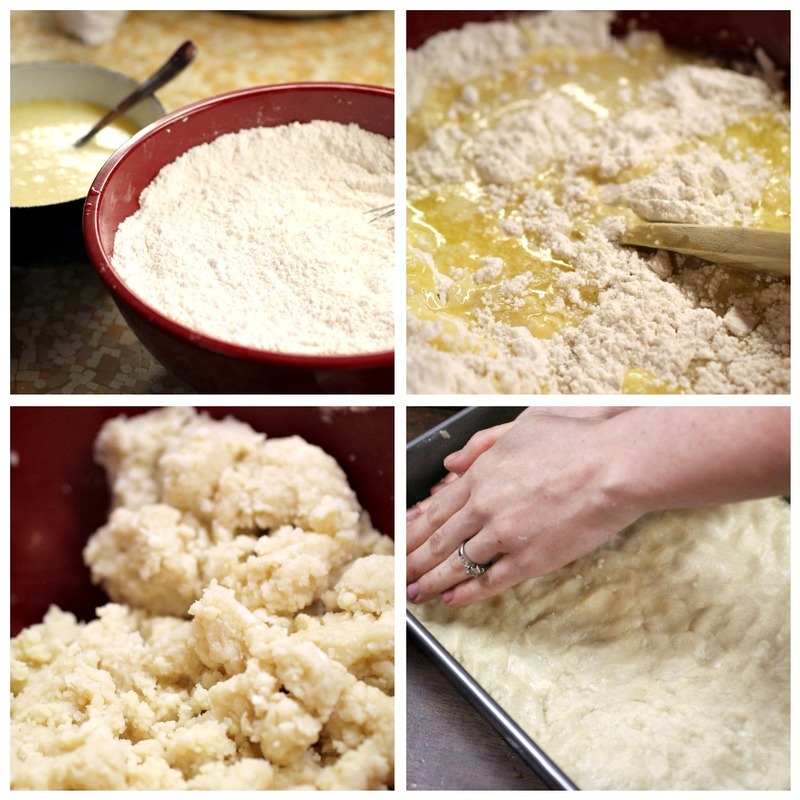 Mix the flour and powdered sugar together with a whisk, then pour the melted butter over the dry ingredients. Mix together gently with a wooden spoon, stirring than turning over until just mixed. Don't worry about the bumps from your fingers, I think they give a rustic texture and help it cling to the curd better. Poke with a fork here and there, about a dozen times. Bake for 15 minutes at 350.
the outer yellow zest from 2 lemons. juice from your two lemons (about 1/3-1/2 cup). Don't even think about skimping with that bottled or frozen stuff here people! Please, don’t do it. 1. In your bowl (I just used the same mixing bowl as for the shortbread, just rinsed out) whip the six eggs with a mixer until they are well combined and uniform. Add the sugar, baking powder and flour, and mix together on your slowest setting to combine well. 2. With a small grater, zest only the outer yellow skin from your two FRESH lemons. Probably about 2 Tablespoons. Add to he egg/sugar mixture. Squeeze the lemons, (make sure to strain out any pips) and add the 1/3 cup of juice. 3. After 15 minutes (which has probably passed by now, especially if you were trying to fit in a small bite of lunch in-between:)), pull the crust from the oven, and immediately pour the curd mixture over the hot crust, scraping the bowl to get all that lemony goodness (conveniently leaving just enough to sample afterwards however). 5. Let cool COMPLETELY (it will be a mess if you rush it, trust me!) before slicing into neat squares. Dust with desired amount of powdered sugar, and feel your knees give out as you taste them. WOW! these look absolutely delicious!!! 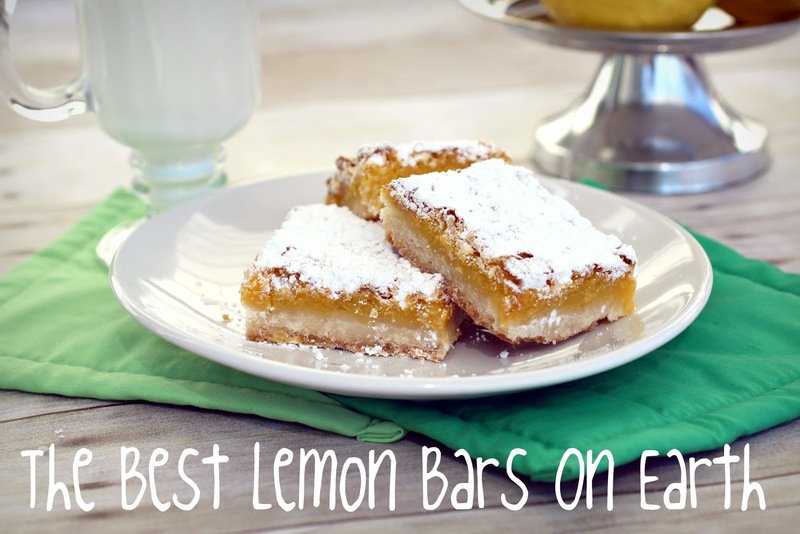 i am huge lemon bar fan - cannot wait to try these!! I'm beyond excited about this! 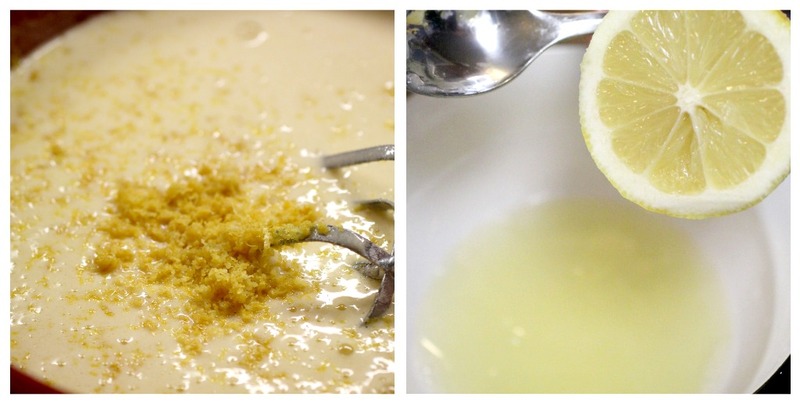 I love anything lemon or lime.. and I was looking for some new treats to make for Easter! Can't wait to try these out!! Awesome! let me know if you have any questions! I'm excited to hear what you think of them! ADORABLE blog, Miss Emily! I must admit that lemon bars are my guilty pleasure. I'm pinning this recipe stat! I love LEMON BARS! I dream about them actually, there are so many out there on pinterest and things but since you have tried and tested this one, it is my next project! Thanks for the recipe! My mom loves to make lemon bars - they are always so yummy! These looks so good! Definitely putting them on my "to cook" list! Oh yum! i love your blog, and i love the look of these! those lemon short beard looks so good. I have never try lemon short bread before. Wow wow wow! These lemon bars do look so amazing! I can just feel the texture and tast the of flavour when I imagine biting into it. Yummy! Ohmygoodness, I need to make these ASAP. 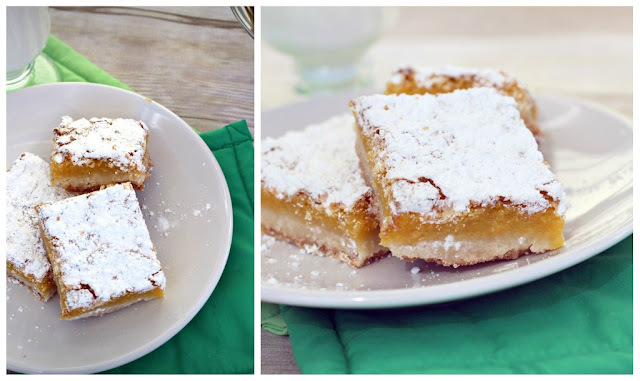 I love citrus anything, and lemon bars are one of my favorites! Thanks for sharing my dear! Oh my goodness these look perfectly divine! Also, you communicate the process so well! Love this post. Oh these look dangerous yet so delicious! I'm definitely going to try these! I JUST started to bake from scratch and this recipe looks surprisingly easy... and super delicious. Thanks for sharing! @E For sure Dangerous!! haha and for sure delicious:) @Faith, I'm so glad!! they ARE easy. and you'll be so proud of yourself when their done! lemme know if you have any questions! These are super delicious, and I especially love the shortbread crust! I made these when visiting my parents' for the holidays, and my brother insisted on using lemon juice from concentrate because he was too lazy to go to the store. They definitely weren't as tart and fresh as with real lemons, so I'll just have to try them again! (Actually, I just made the shortbread alone for a study snack. Not too healthy, but oh so good!) Thanks for the recipe!